What is Epic Mountain Valley seed? Probably everyone dreams of building a house somewhere in the mountains, in a picturesque area. Now you will have such an opportunity in Minecraft Poket Editions. To do this you will need Seed Epic Mountain Valley 1.1.0, 1.1.0.9. On it you will find everything you need to settle down as best you can and to contemplate the stunning beauty of the scenery. By the way, besides the mountains you will see spectacular waterfalls that will surround you literally from all sides. 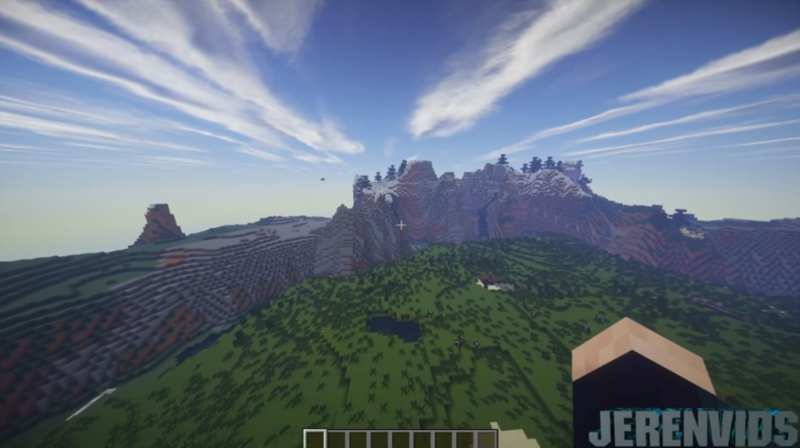 You will be able to enjoy the stunning views in the Mine. 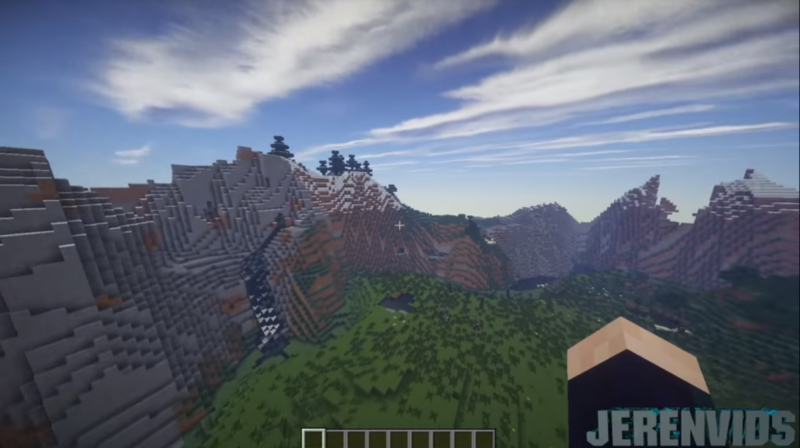 So, if you decide that you definitely want to visit this seed for Minecraft Pocket Edition, then you are probably wondering how to find the very mountains where you can settle down and enjoy life. After you have fallen asleep, you need to turn back and walk a little, then you have to climb a mountain. If you walk a little more, you will be able to find a fairly large swamp. You can wander here as long as you want, thoroughly explore everything here. To get to the destination point – that is, to the epic mountains, you need to return to the spawn site in Minecraft PE and swim a bit. Then your view opens a stunning view – the mountain peaks, surrounded by waterfalls. 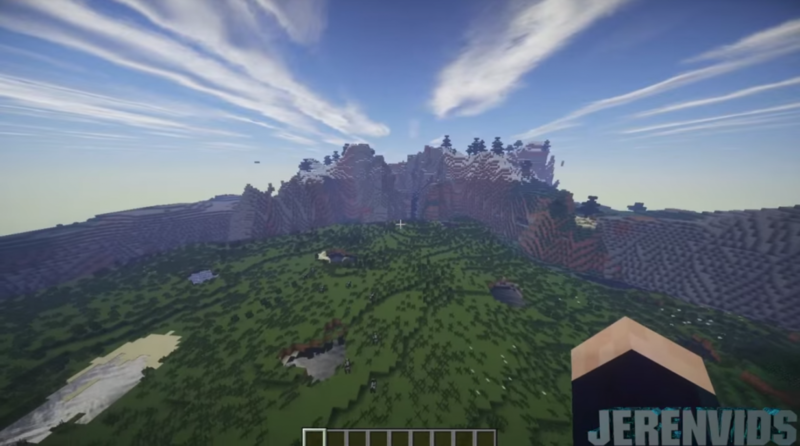 Seed Epic Mountain Valley 1.1.0, 1.1.0.9 is worth a visit to all lovers of nature and breathtaking scenery. Simply enter the seat that you see below and you can get to the treasured area. All this untouched nature will be at your disposal – you can build a house here and relax.